Would a 1989 production Browning have the newest style feed ramp configuration? Hello damajret, The '89 has the straight feed ramp, but not the "newest" type. 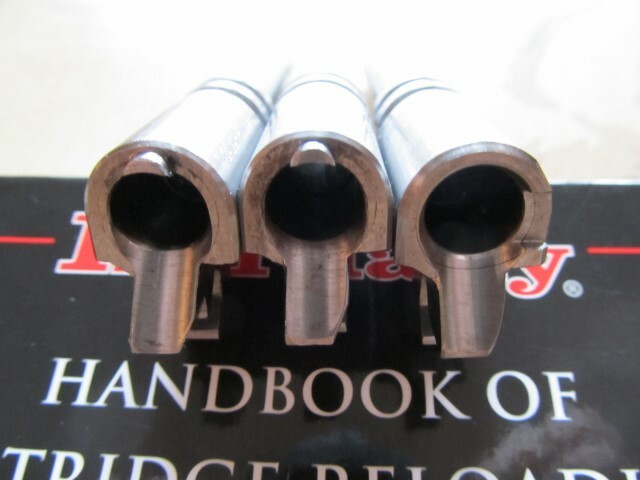 The newest type barrels eliminated the little metal projection at the top rear of the chamber and are throated more extensively than the '89 era guns. Especially noticeable around the circumference of the chamber entrance. I attached an old photo of, from left to right, the '89, '93, and '02 feed ramps.